Professional installation of your project. Major upgrading projects or small jobs. All sorts of repairs finished quick. Respectful and qualified staff. Get a no-cost work quote. Flexible and convenient. Good outcomes are guaranteed. Interested in having a pro put in some new interior ceiling or walls? Maybe you just want to have some damaged walls mended. Speak with experienced installers of sheetrock ceilings and walls. They also do repairs on them also. 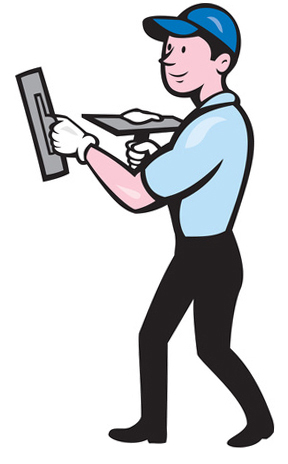 Installers regularly work on all types of different job assignments. Some jobs are in new construction; many others are repairs and remodeling. Of course they do repair jobs. Some homeowners call for simply patching a hole or two. Other assignments involve removing and replacing partial or complete pieces of sheetrock. They can work with homeowners who are carrying out remodeling projects. They can also undertake new construction jobs for contractors. 1. Trucking the gypsum drywall sheets to the work site. 2. Putting in each sheet on the walls. 3. Cleanup and removal of trash and unneeded material. 4. Taping the seams and joints and putting on joint compound. You could start painting the brand new surfaces as soon as the final texture and last cleanup is completed. Most of the jobs they work on require them to complete all five actions, but a few property owners tell them to finish only a few of the steps. For example, in case you only want sheetrock trucked to your property, and you would like to do the rest of the work, they can just do the delivery. Or sometimes a property already has sheetrock installed on the walls and ceiling. They are asked out to complete the rest of the finishing work and make it ready for paint. Ordinary sheetrock isn’t suitable for high moisture areas, like bath and shower areas, so they use a moisture resistant board they will install there. Plus they have a strong and durable backer board solution they use on walls in places you wish to install heavy tile. People mistakenly put a hole in their wall or ceiling every day. It’s quite common. And plumbing problems take place a lot too. Soaked sheetrock normally must get replaced. If your ceiling or wall has just one hole, it’s possible you can try and get rid of it by putting on a drywall replacement patch, which you can buy at any hardware store. Applying a wall patch is not as simple as its box says it will be. Homeowner wall or ceiling repairs should be left for locations that don’t get a big number of outside visitors. A hole or dent in a really noticeable location should probably be dealt with by somebody who has experience making those kinds of patch repairs. 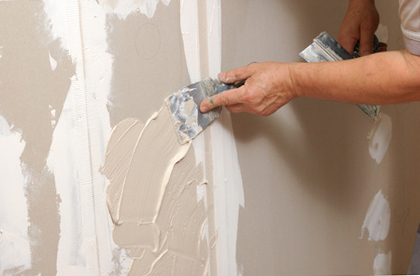 During the finishing and pre-painting stage, they try to make your new or repaired walls appear similar to your old walls. Fixing or patching one or two individual holes or dents. Mending a few sheets so an area or rooms can get repainted. Taking off and replacing pieces of drywall damaged by water or something else. Finishing the elimination and replacement of a big room or two. Commonly due to a water malfunction or other event. No matter what size a project is, they will work to have it booked and executed quickly. Simply unfinished – only taped, designed for non-finished work or storage areas or garage areas. Smooth surface finish – zero texture, completely ready for paint or wallpaper. Simple texture – supplies some extra depth. Complicated texture – requires additional troweling and more difficult to get done. Texture matching – make your replacement wall surfaces match your existing ones. Most homeowners are tired of the sprayed-on popcorn ceiling texture fad. You can quickly replace that old ceiling covering with a more current surface. They can take care of your job, from start to finish. They attempt to hold prices reasonable while delivering results their clients like. They don’t use any bargain materials. All of the materials used are good quality. They have all the commercial tools essential to get your job completed fast. A home renovation job can create a good deal of dust pretty quickly. They will do their very best to keep your home as clean as possible. They don’t leave you with a big clean-up challenge when they are done. They collect up and haul out all the excess supplies and trash. While they carry out a lot of remodeling projects for homeowners and business property managers, they also are working with new construction projects. There are several companies that furnish wall and ceiling services. You could get your project started right now. They are pleased to write up an estimate for your project. The end cost of a job depends upon two or more variables, but the quantity of materials and how much time it would take to perform the job are almost always the top two variables. While they can’t always stop by a prospective project site and give a quote in person, they will generally supply a pretty decent estimate if you make a quick call. If you don’t have another option for who is going to paint your new or repaired ceilings and walls, they are able to take care of that job for you. Some homeowners want to do their own painting. Others prefer to use a different painter. Whatever you want to do with the painting is cool with them. What Parts of the City Do They Work In? They work on lots of projects around downtown Fremont including the Cherry-Guardino, Parkmont, Kimber-Gomes and Central District. This includes the 94536, 94555, 94539, 94538 and 94537 zips. They also do a lot of work in each of the suburbs and neighboring cities: Hayward, Ardenwood, Northgate, Niles, Cabrillo, Glenmoor, Centerville, Irvington, Sundale, Grimmer, Warm Springs, Mission San Jose, Union City and Newark. They work at homes and business properties around the downtown Fremont neighborhoods of Kimber-Gomes, Cherry-Guardino, Parkmont and the Central District, plus the 94536, 94537, 94538, 94539 and 94555 zip codes.